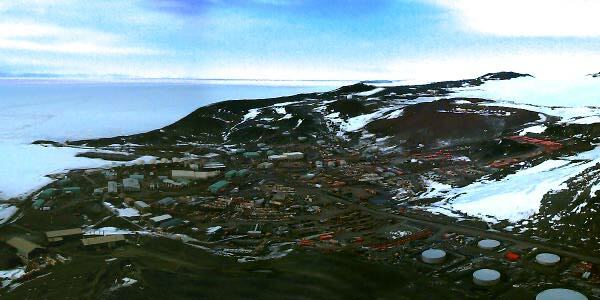 McMurdo from the top of Observation Hill, December, 1995. © Copyright 1995-1998, Ethan Dicks <erd@iname.com>. All Rights Reserved.